Diabetes in the Old Age | Your body gets glucose from the food you ingest, the liver and muscles provide your body with glucose. Blood transports the glucose to cells throughout the body. Insulin, a chemical hormone, helps the cells of the body absorb the glucose. Insulin is made by the beta cells of the pancreas and then released into the bloodstream. If the body does not make enough insulin or the insulin does not work, as it should, glucose can not enter the cells of the body. Instead, glucose must remain in the blood and cause an increase in blood glucose levels. This high blood sugar level causes pre-diabetes or diabetes. Pre-diabetes means that the blood glucose level is higher than average, but not high enough for a diabetes diagnosis. Having pre-diabetic glucose levels increases the risk of developing type 2 diabetes, as well as heart disease and strokes. But if you have pre-diabetes, there are many ways to reduce the risk of type 2 diabetes. Moderate exercise and a healthy diet, accompanied by a modest weight loss, can prevent type 2 diabetes and help a person with pre-diabetes to return to normal blood glucose levels. Symptoms of diabetes are excessive thirst, frequent urination, very hungry, feeling tired, weight loss without trying, the appearance of ulcers that heal slowly, dry and itchy skin, loss of sensation or tingling in the feet, and blurred vision. However, some people with diabetes do not experience any of these symptoms. Diabetes can be developed at any age. There are three main types of diabetes: type 1, type 2 and gestational diabetes. Type 1 diabetes is also called juvenile diabetes or insulin-dependent diabetes. It is usually diagnosed in children, teenagers or young adults. In this type of diabetes, the beta cells of the pancreas are no longer able to produce insulin because they have been destroyed by the body's immune system. Type 2 diabetes is also called diabetes with adult onset or non-insulin-dependent diabetes. It can be developed at any age, including childhood. This type of diabetes is the result of insulin resistance, a condition in which the cells of the body do not work well with insulin. Initially, the pancreas can produce more insulin to keep up with the increased demand for insulin. However, it loses the ability to compensate the cells of the body, and the inability to handle insulin well over time. The insulin can not help the cells absorb glucose, resulting in high blood glucose levels. Type 2 diabetes is the most common form of diabetes. An unhealthy weight contributed by a low-calorie diet and a lack of exercise increases the risk of developing this type of diabetes. African Americans, Latin American Americans, American Indians, Alaska Natives and Asian and Pacific islanders have a particularly high risk of developing type 2 diabetes. Gestational diabetes refers to the development of diabetes in the late stages of pregnancy. It is caused by hormones associated with pregnancy and a deficiency of insulin. This form of diabetes disappears after the baby is born, but brings both the mother and the child more risk with developing lateral type 2 diabetes. Diabetes is a serious disease and when it is not well controlled it damages the eyes, kidneys, nerves, heart, gums and teeth. Having diabetes makes someone more than twice as likely as someone without diabetes to have heart disease or stroke. It is important to keep blood sugar, blood pressure and cholesterol under control to avoid the serious complications associated with diabetes. Taking measures to control diabetes can have a major impact on a person's health. Diabetes is a serious disease without a cure. Controlling blood glucose levels, blood pressure and cholesterol can help to prevent or delay complications related to diabetes, such as heart disease and strokes. A lot of research is being done into ways to treat diabetes. Type 1 diabetes is classified as an autoimmune disease. An autoimmune disease is the result of the body's own immune system, which fights infections and turns against a part of the body. Currently it is unclear what exactly causes the body's immune system to attack itself and destroy the insulin-producing cells of the pancreas. There are genetic and environmental factors, such as viruses, that are involved in the development of type 1 diabetes. Researchers work to identify these factors and prevent type 1 diabetes in people with an increased risk. Type 2 diabetes is associated with obesity, high blood pressure and abnormal cholesterol levels. Overweight can contribute to the body with insulin in the right way. Have a family history of diabetes, perhaps in a parent, brother or sister. They are from African American, American Indians or Alaska Indians, Asian-American or Pacific Islands or Hispanic American / Latino origin. Modest lifestyle changes can help prevent the development of type 2 diabetes for those at increased risk. Here are some useful tips. Ensure a healthy body weight. Overweight has many negative health consequences and can prevent the body from using insulin properly. It can also contribute to high blood pressure. Research shows that even a modest amount of weight loss can reduce a person's risk of developing type 2 diabetes. Make healthy food choices. What we put into our body has major consequences for our health and how our body functions. Healthy eating helps to keep body weight, blood pressure and cholesterol levels under control. Be active. Find a physical activity that you enjoy and that makes your heart beat, maybe walking, dancing or gardening. Try to be physically active for at least 30 minutes a day, 5 days a week - research shows that this helps to reduce the risk of type 2 diabetes. Diabetes is sometimes called a "silent" disease because people may not show signs or symptoms. Symptoms of diabetes include: excessive thirst often urinate, very hungry, feeling tired, weight loss without trying, the appearance of ulcers that heal slowly, dry and itchy skin, loss of feeling or tingling sensation in the feet and blurry sight. However, some people with diabetes do not experience any of these symptoms. 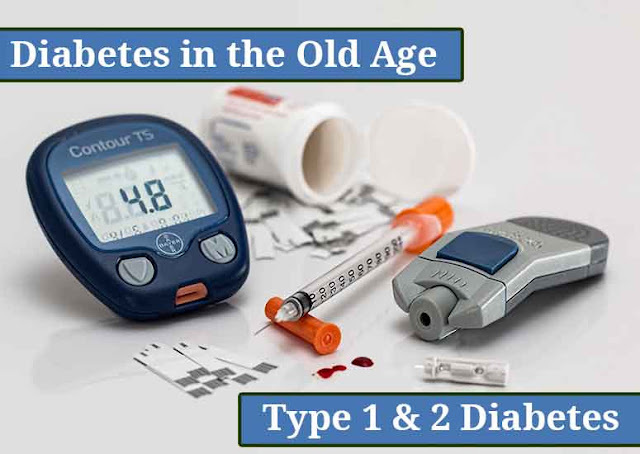 Symptoms for type 2 diabetes develop gradually, while type 1 diabetes develops more rapidly. Doctors use different tests to diagnose diabetes. Tests to diagnose diabetes and pre-diabetes are the fasting plasma glucose (FPG) test and the oral glucose tolerance test (OGTT). Any plasma glucose test allows doctors to diagnose diabetes alone. If any of these tests show that you may have diabetes, your doctor must repeat the fasting Plasma Glucose Test or the oral glucose tolerance test on another day to confirm the diagnosis. Because type 2 diabetes is more common in the elderly, especially in overweight people, doctors recommend that everyone aged 45 or older be tested for diabetes. If you are 45 or older and overweight, it is strongly recommended to be tested. Older adults are at greater risk of developing type 2 diabetes, especially if they are overweight. Doctors recommend that people over the age of 45 be tested for diabetes, especially if they are overweight. Diabetes is a serious disease that can lead to pain, disability and death. Sometimes people have symptoms, but diabetes is not suspected. They postpone the planning of a check because they do not feel sick. Despite the risk of diabetes due to age and weight, people often make a check because they do not feel any symptoms. Sometimes people experience symptoms do not realize that it can be diabetes. Still, diabetes is a serious disease that, if left untreated, can lead to dangerous complications and even death. Often people are not diagnosed with diabetes until they experience one of the complications, such as heart problems or problems with vision. Early detection can prevent or delay such complications, making controls all the more important. There is no cure for diabetes, but with careful monitoring of blood sugar levels, as well as cholesterol levels and blood pressure, it can be managed. People with type 1 diabetes use insulin injections, by means of shots or an insulin pump, to regulate their blood glucose levels. People with type 2 diabetes use oral medication, insulin or both to regulate their blood glucose levels. In some cases of type 2 diabetes, a person can only use diet and exercise to maintain proper blood glucose levels. Follow a meal plan that is logical for you and how your body responds to the different foods you eat. Include physical activity in your daily life. Take the appropriate diabetes medicine and check your blood glucose levels in a manner consistent with your doctor's recommendations. To keep your blood glucose level in the right range, it is very important to make healthy choices when it comes to what foods you eat. Diabetics must have their own meal plan that is logical for how their bodies respond to the other type of food they eat. If you ask, doctors can give you the contact details of a dietitian or diabetes educator who can help you prepare a suitable meal plan. When you develop your meal plan, you should consider different things, such as your weight, daily physical activity, blood glucose and medication. A meal plan will help you achieve a healthy weight for overweight people, as well as helping to regulate blood glucose levels. A dietitian can help to clarify misconceptions about healthy eating and help you and your family to make a plan that fits your goals and lifestyle. It is not necessary for people with diabetes to eat only certain foods, but food that is good for everyone is also good for diabetics. Such food includes those with little fat, salt and sugar. Foods with a high fiber content, such as whole grains, beans, fruit and vegetables, are also great choices. Making healthy choices in your diet will help you achieve and maintain a healthy weight, keep your blood sugar level under control and prevent heart disease. Staying active is very important for people with diabetes. Research has shown better blood glucose levels in older adults and the elderly participating in a normal fitness program. Exercise offers many health benefits that are especially important for people with diabetes. It helps you achieve and maintain a healthy weight, promotes the action of insulin to lower blood glucose, strengthens the heart and lungs and increases energy. If exercise is new to you, talk to your doctor before you start. Some exercises, such as weight lifting, may not be safe for people with eye problems or high blood pressure. Ask your doctor to check your heart and feet to make sure that you have no special problems related to diabetes. Also ask your doctor to find exercises that are safe for you. Make physical activity a part of your daily life. Take walks, cycling or gardening. Try to dance or swim, or just stay active by working in the whole house. Try out different activities and look for ways to increase physical activity in your daily life. Try to get an exercise every day for at least 30 minutes. If you are just starting training, start slowly and gradually increase the amount and intensity of your workout. People with type 1 diabetes and some people with type 2 diabetes use insulin to lower blood sugar levels. People must take insulin if their body does not take enough of it. Insulin is a liquid hormone that must be injected with injections or an insulin pump. In many cases of type 2 diabetes, the body makes enough insulin, but it is not used correctly by the body. Diabetes pills are used to correct this problem. Some are taken once a day, while others are taken more often. It is important to ask your doctor or pharmacist how to take your pills. Talk to your doctor if you suffer from side effects or if your pills make you sick. Finally, do not forget that diabetic pills must be used in addition to healthy diet and exercise. Other cases of type 2 diabetes do not require insulin or diabetes pills, rather a healthy diet and regular exercise will treat their diabetes. It is important to regularly monitor your blood glucose levels using a blood glucose meter. Logging these levels in a diary can also be useful to get a better idea of ​​how your treatment is going. Some people have to check their blood glucose levels several times a day, while others check it once a day. Ask your doctor how often you should test your blood. By monitoring your glucose levels, you can detect 'high values' and 'low values'. A condition that is referred to as hypoglycaemia arises when the glucose levels become too low. When this happens, a person can become shaky and confused. If the blood sugar level falls too much, someone may faint. By following the treatment plan recommended by your doctor and by checking your blood glucose levels you can prevent 'lows'. If you control your glucose level and it is too low, you can increase it by taking sugary foods or drinks such as fruit juice. A condition called hyperglycaemia results when the glucose levels are too high. If blood glucose is too high, it can lead to someone getting into a coma. If you experience persistent "high values", talk to your doctor, you may need to adjust your treatment plan. People with diabetes are at particularly high risk of developing heart disease and strokes. That is why it is very important to check your diabetes with your 'ABCs'. The A1C (A-one-C) test is a good measure of what your blood glucose level is most of the time. A test result lower than 7 is a positive sign that your diabetes is under control. A test result that is greater than 7 means that the blood sugar levels are too high. If your A1C is too high, take action. Talk to your doctor about changing your treatment plan and lifestyle to achieve your goal. If you lower your A1C to a healthy level, you can avoid the complications associated with diabetes, such as heart disease and kidney damage. High blood pressure can lead to stroke, kidney disease and other complications. In general, people with diabetes want to keep their blood pressure below 130/80. Have your blood pressure checked every time you visit your doctor. If it is too high, talk to your doctor about how you can lower it. Cholesterol, especially LDL cholesterol, is a fatty substance that accumulates in your blood vessels. If your cholesterol levels are too high, your veins become narrower. This can lead to heart disease or heart attack. People with diabetes should try to keep their cholesterol below 100. Have your doctor check your cholesterol and if it is too high, talk to him or her about how you can reach your cholesterol level. High glucose levels and reduced blood flow to the limbs can cause severe nerve damage and loss of feeling. Unseen injuries can contribute to ulcers, which can lead to amputation. That is why foot care is very important for people with diabetes. Check your feet every day for cuts, rebounds, ulcers, infected toenails and swelling. Report any problems to your doctor and make sure that you check your feet at every doctor visit. People with diabetes are more likely to have skin injuries and infections; That is why taking care of your skin is also important.